Southern Chemicals (Pty) Ltd. was established in 1996 with the objective of selling and distributing specific speciality industrial chemicals and additives throughout the Southern African and Indian Ocean region. While serving as sales agent and distributor in the region for a number of overseas manufacturers, Southern Chemicals (Pty) Ltd is an independent Company and has retained its focus on speciality materials, and to a limited degree a number of complementary commodity industrial chemicals. Materials are sourced globally and inventories are maintained in Durban, Johannesburg, Port Elizabeth and Capetown, as appropriate to customer needs. • Products maintained in inventory include the following categories: Silicone Derivatives: Organosilicones, Organosilanes, Silicone Oils Organic Intermediates: Speciality Ketones, Organic Acids, Alkylamines, Alkanolamines, Alkyleneamines, Specialty amines, Alkyl phenols. Butane Diol Derivatives: 1,4 Butane Diol, N-Methyl Pyrollidone, Gamma Butyralactone Urethane Additives: Foam Stabilisers, Tin Catalysts, Amine Catalysts, Processing Aids Resins and Polymers: Vinyl Chloride-Vinyl Acetate, Polyvinyl Butyral, Phenolic, Phenoxy, Polyester Polyol, Polycaprolactone Polymer, XL-Polyethylene Fibres and Fillers: Cellulose Fibres, Microcrystalline Silicas, Fumed Silica, Ceramic Microspheres, Phenolic Microspheres. 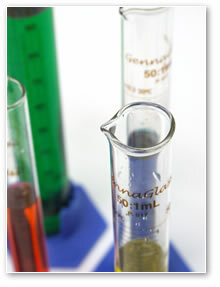 Southern Chemicals also offers consumers a sourcing service for difficult to find chemicals. © 2008 SouthernChem. All rights reserved.